Meal prep kits were supposed to make the supermarket obsolete. The opposite has proven true. Now the companies that make the kits may need to partner with a grocery chain to survive. Early leaders like Blue Apron and Plated quickly declined as competitors and grocery stores replicated their service. And Amazon, which dabbles in meal kits, lurks in the background with its ability to disrupt entire markets. Shares in Blue Apron (APRN) have fallen 75% since it went public last year. The company reported another round of disappointing earnings last week. Chef'd, a meal kit startup that tried partnering with recognizable names like Atkins and Campbell Soup suddenly shuttered its home delivery service in mid-July. It's now trying to sell kits in grocery stores, which may be the right move, according to R.J. Hottovy, a senior restaurant analyst at Morningstar. Meal kit brands that are primed to survive are the ones that married off, such as Home Chef, which recently sold to Kroger (KR), Plated, which was purchased by Albertson's, and Gobble, which reportedly is partnering with America's No. 1 grocery chain Walmart. "You need to be part of a larger organization," Hottovy said. The costs of logistics are so overwhelming that it's not financially viable to go it alone, Hottovy said. But under a larger umbrella, a meal-kit company can benefit from an existing distribution network, access to ingredients and an established customer base. "I think there's a place for [meal prep kits] and there's sufficient consumer demand," says Hottovy. "They offer a level of convenience that people are looking for. But the idea that you send a weeks worth of meals at once is evolving." Darren Seifer, a food consumption analyst from research firm NDP, agreed. He said Blue Apron customers were frustrated by being locked into a weekly delivery schedule that requires them to pause when they aren't able to receive a package. More than half of Blue Apron customers also said price-per-meal was too expensive, according to Seifer. 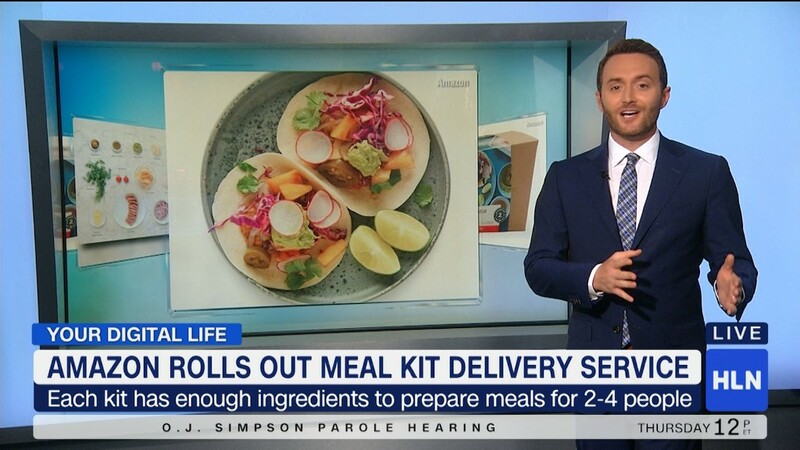 More meal kit options are becoming available, so it might not make sense to lock in with a single provider. Chick-fil-A became the first fast food company to try a meal kit service at some locations. Plant-based meal purveyor Purple Carrot is trying to appeal to vegetarians. Amazon sells a selection of kits on its website and is incorporating them into Go concept store. Walmart is selling "one step meals" in 2,000 of its US stores. Seifer compared the number of companies in the meal kit business to the "dot com boom-and-bust era of the '90s." "There's lots of companies jockeying for marketshare but they aren't focusing on the bottom line," he told CNN. "The segment is still in the mode of expanding user base and are figuring out how profits come later."